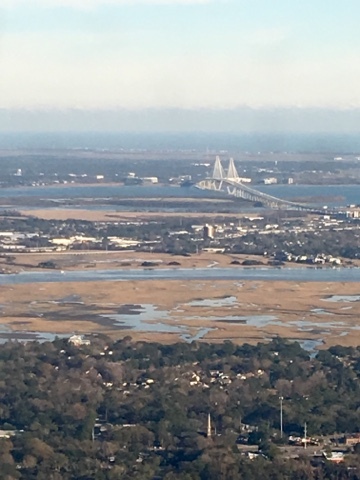 After a very pleasant flight on Alaska SEA-CHS, we landed at Charleston International Airport in good time. It's actually not a very large airport (but modern and pleasant) and we were outside within a very few minutes. 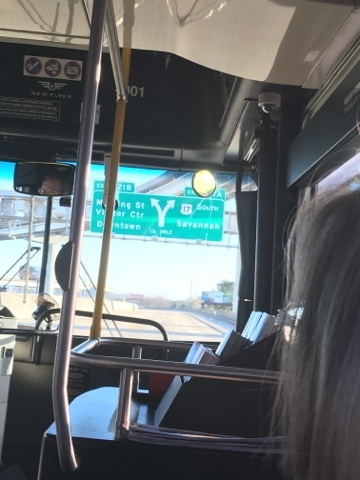 We'd researched a DASH bus that takes you downtown for $3.50. We discovered it runs only hourly. We also realized it was 3:57 pm local time and a bus rolled up. 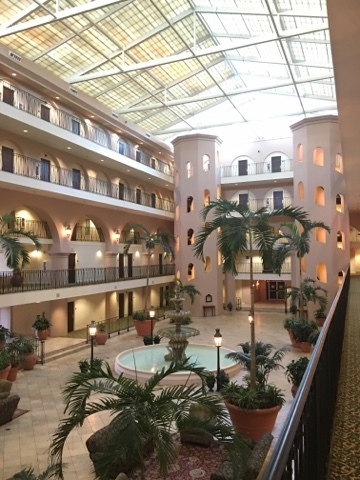 It's a good 20-25 minutes to downtown and it turns out the downtown terminus is but a three-minute walk from the Embassy Suites. 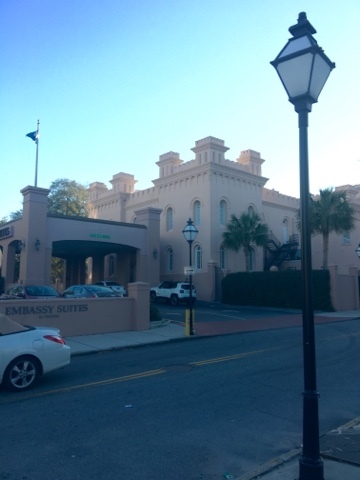 The hotel is housed in the former site of the Citadel, the legendary military college. It's a little like staying in a castle or a fort, but perfectly nice and very well located. 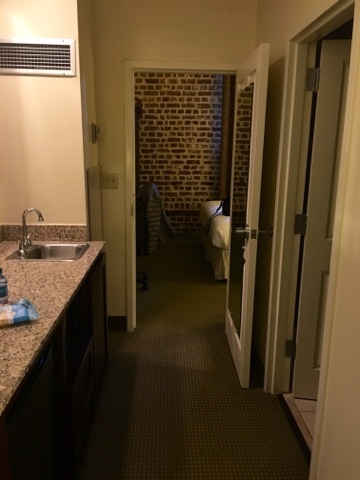 Our suite includes an authentic brick wall at no extra charge.